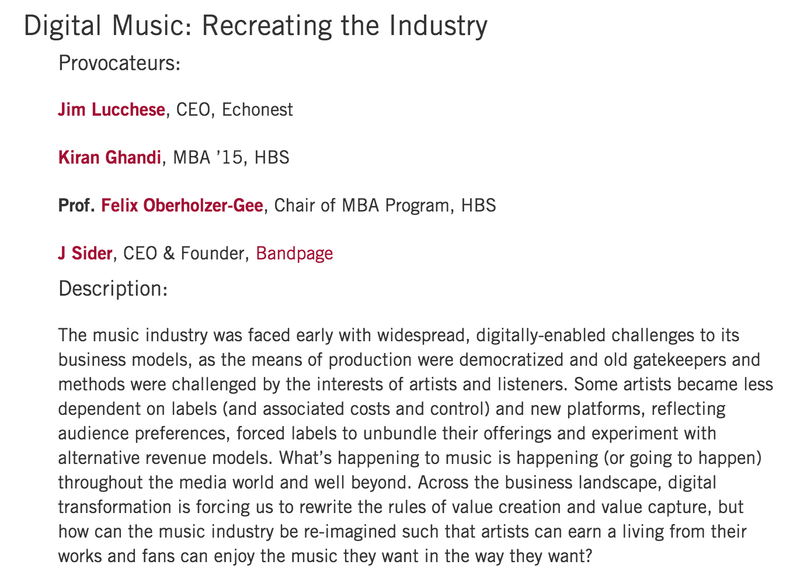 The main theme around this year’s digital music discussion included exploring ways artists could make alternative sources of revenue beyond recorded music. We had Mark Kates, J Sider, Prof Felix Oberholzer-Gee and Jim Lucchese come and speak!! Bandpage—>take the product. work with the streaming partners. 5x higher click-through-rate on streaming than artist’s own website, plus 10x more traffic. – they want something special – hence why vinyl increasing -> merchandise. – Spotify’s goal : taste profile for every listener, listening context. right music in the right context.